Thief River Falls (No. 5, 16-10-2) vs. Alexandria (No. 4, 17-10-1), 8 p.m. Scouting the Prowlers: After just two victories in their first 11 games, Thief River Falls had only three losses in the past 17 games. Sparking the turnaround, and a mostly dormant offense, was moving senior Brady Anderson from defense to forward. Anderson, with a hat trick in the section final against East Grand Forks, has 16 goals. Senior Aaron Myers (27 goals, 47 points) is the team’s top scorer. 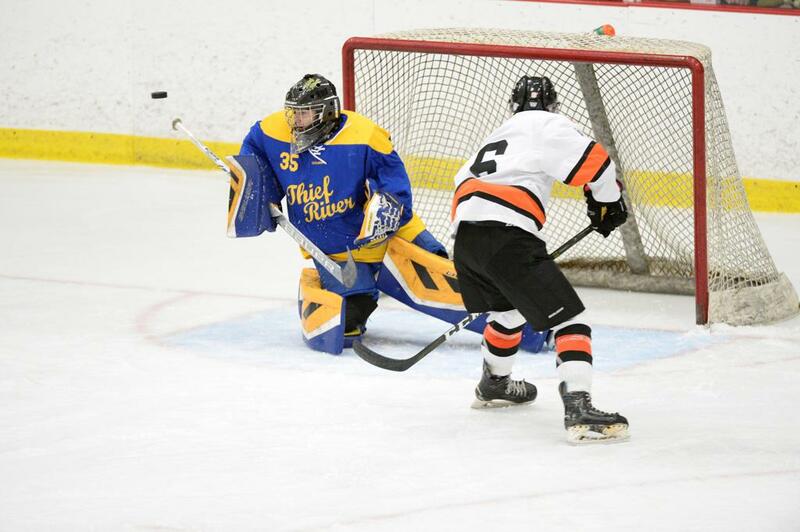 Senior Nick Corneliusen (2.00 goals-against average, .930 save percentage) has steadily improved, culminating with a shutout in the section final. Scouting the Cardinals: Workhorse defenseman Jack Powell, a 5-11, 175-pound senior, excels in one-on-one battles in the corner, where he treats opposing forwards as delicately as a farmhand tosses bales of hay. “He’s a fitness freak,” fifth-year Alexandria coach Ian Resch said about Powell. Junior forward Ben Doherty, who missed a large chunk of the season because of injuries, is one of the state’s most gifted playmakers; he had 44 assists as a sophomore. Jakob Stender, a freshman forward with 14 goals, figures to be the Cardinals’ next elite talent. Worth knowing: Doherty and junior forward Jack Westlund are legacy state tournament players, as their fathers, Jeff Doherty and Todd Westlund, played in the 1990 state tournament for Burnsville.